After the huge success of the Furutech SK-III antistatic brush and almost one year of shortage despite a strong demand, the Japanese manufacturer has released a new revolutionary antistatic brush! 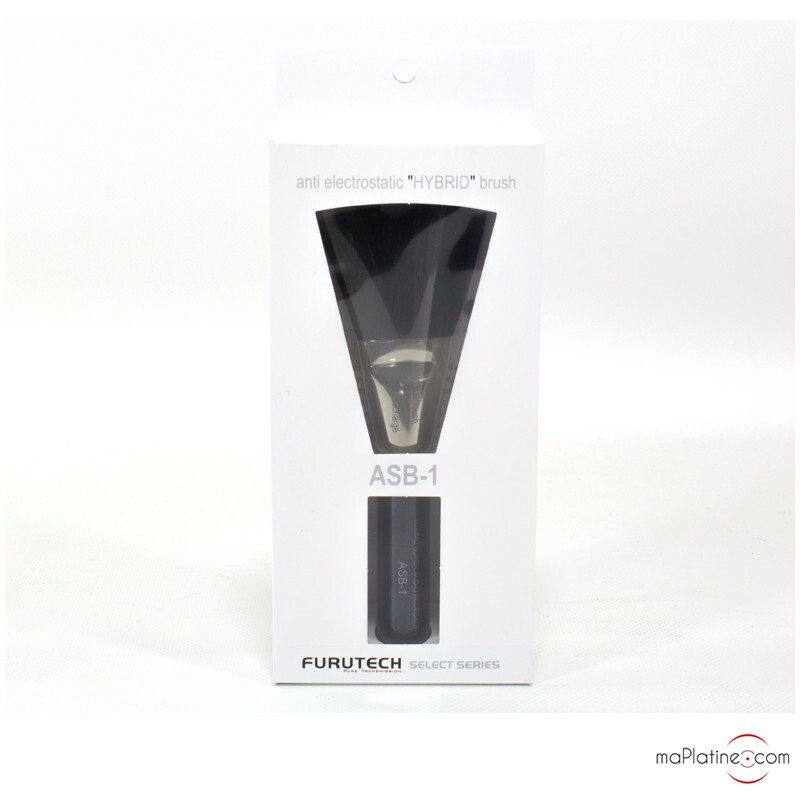 The Furutech ASB-1 antistatic brush has the hard task of doing better than the previous generation! It is also the first product to use the new technologies developed by Furutech/ADL. This antistatic brush looks very similar to its predecessor the SKIII! It still looks like a big make-up brush that sets it apart from its competitors and classic carbon vinyl record brushes. 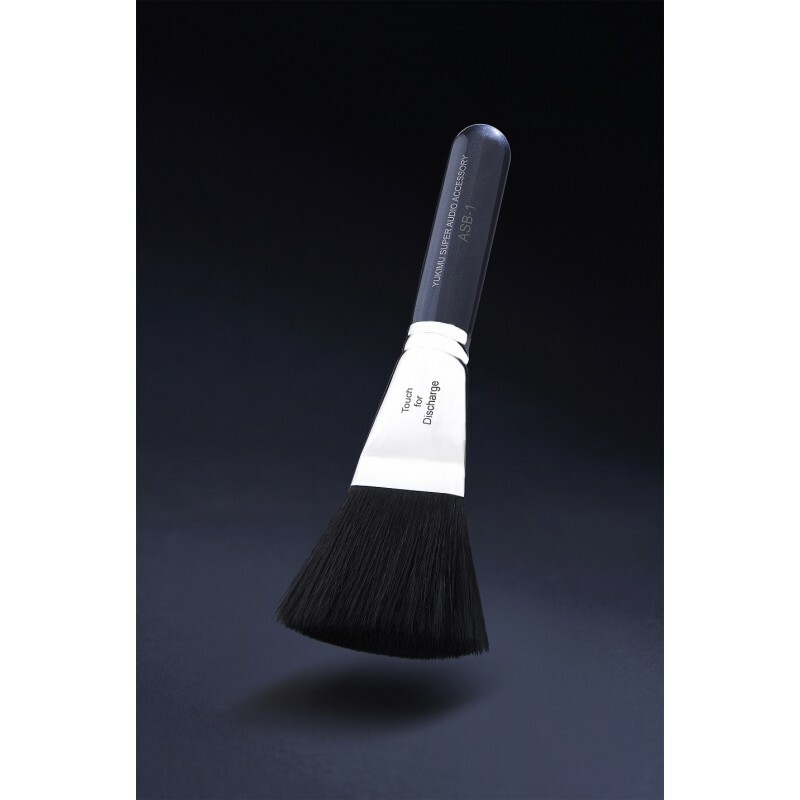 The Furutech ASB-1 antistatic brush has “COREBRID™ B” composite core fibres, a unique highly conductive material developed by Mistubishi Chemical Corporation. The use of COREBRID™ B hybrid fibres (core and sheath) is revolutionary. This brush has remarkable antistatic properties that last over time. The COREBRID™ B technology is a composite conductive acrylic hybrid fibre that forms the core and sheath of the brush. The static load is conducted away through the core, formed of high-density carbon super conducting particles, and is not conducted through the 30 µm abrasion resistant solid sheath. It is thus possible to use the fibres of the ASB-1 without wear of the conductive core. 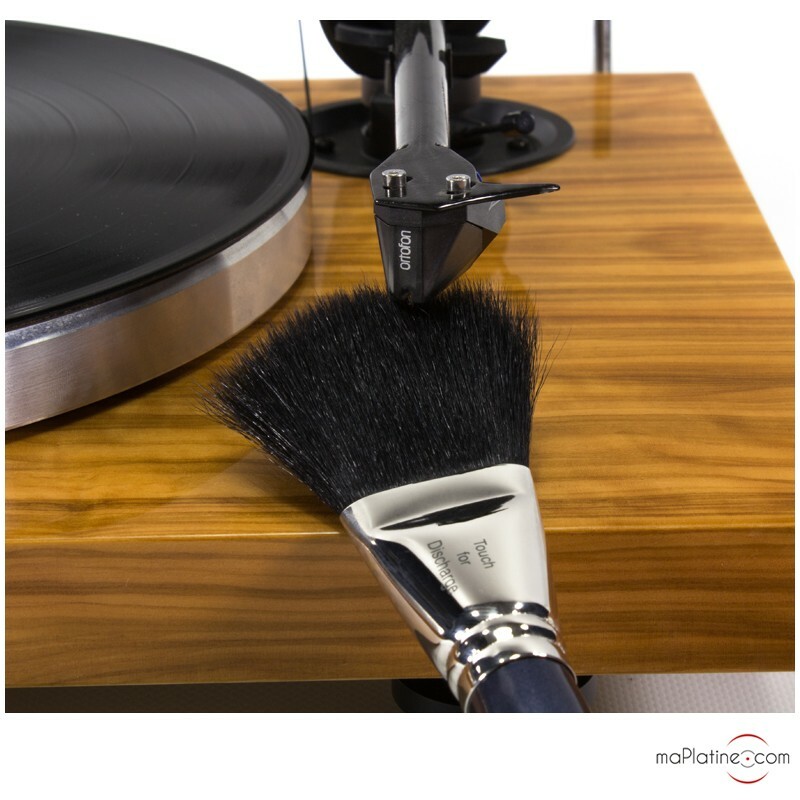 By gently brushing the surface of the vinyl record, the Furutech ASB-1 brush will eliminate the static load as well as remove dust from the grooves. 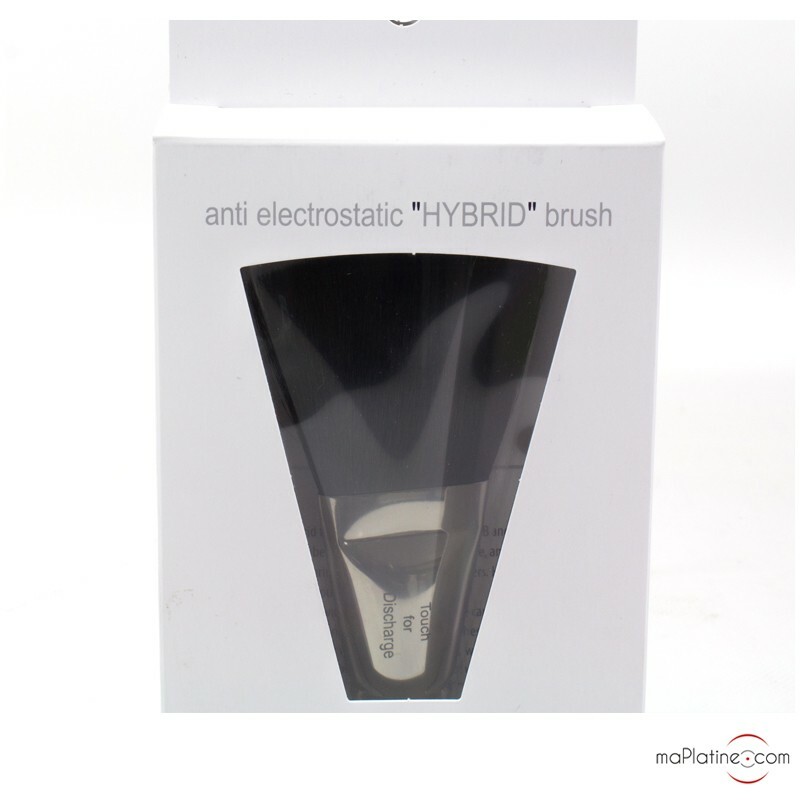 This revolutionary brush solves in one sweep the problem of electro static noise and thus deteriorating sound quality. 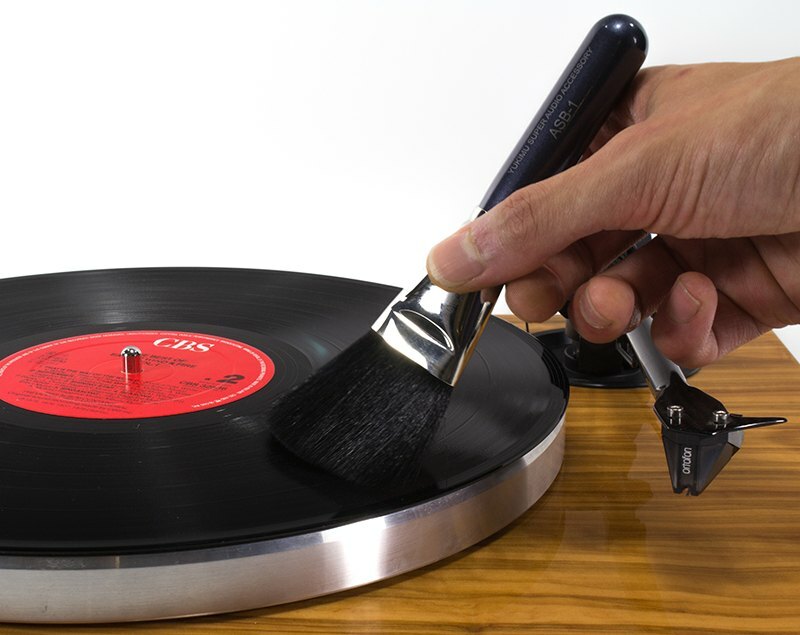 It is very simple to use this brush: all you have to do is hold the Furutech ASB-1 brush by its sleeve and sweep the vinyl record. We recommend doing this while the vinyl record is rotating on the turntable. Two rotations are enough for the ASB-1 to clean your vinyl record. The result is instant! 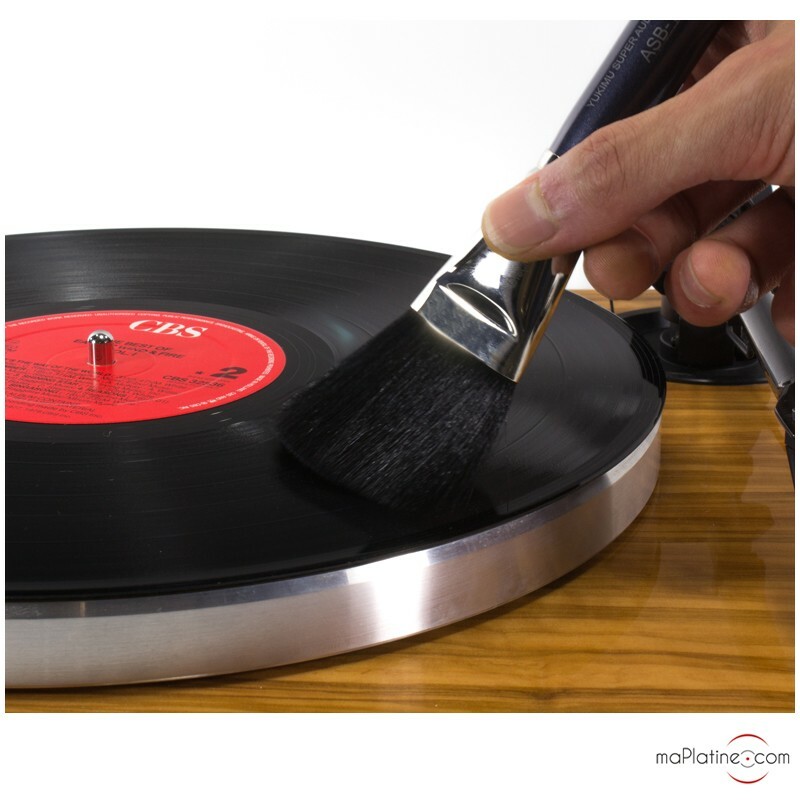 Not only does this brush remove dust from the vinyl record, it also eliminates static loads. The sound restitution is immediately more precise and clearer. We also have the feeling of hearing a lot more details! The manufacturer also recommends using this ASB-1 brush on compact discs, flat screens, dust covers… in short anything that is sensitive to static loads! We used this brush on the tonearm, cartridge, and platter of our vinyl record player. The results were excellent! 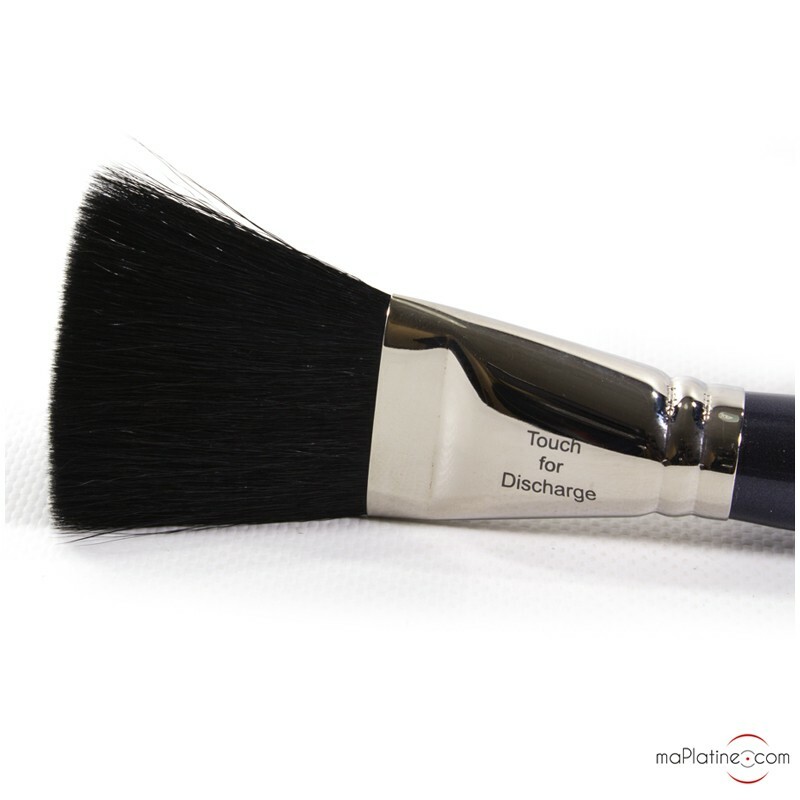 The huge antistatic properties of this Furutech ASB-1 antistatic brush make it a benchmark! Cuando vi esta brocha anunciada con su elevado precio??? Me quedé perplejo!!! La marca no me resultaba nada conocida,, entonces me informé sobre la marca en cuestión, y vi que tienen a la venta cables de audio por miles de euros!!!! rápidamente supuse que se trataba de una marca puntera en la investigación del Audio de élite,, eso me animó a comprarla,,, en cuanto la recibí la probé rápidamente en el vinyl,,, lo que noté rápidamente fué que lo que es inevitable en la lectura del vinyl ( pequeños ruidos de arrastre de la aguja) SIGUE SIENDO INEVITABLE,,, pero lo siguiente que noté rápidamente fué UN SONIDO MAS FRESCO NATURAL Y PRESENTE en toda la audición,,, Sorpresa agradable al comprobar que la relación calidad precio es correcta..